Well, that was dismal. Beautifully written, fantastic characters, and as an exploration of love and hate – really powerful, but goodness, it was depressing. It is a slender volume, coming in only 202 pages, which was lucky because had it been much longer I might have lost the will. That said, I would really recommend it (when you are in the mood). It was beautiful, complex and captivating. This is one of those stories that starts in the present day, but in which all of the characters are massively influenced by events that happened years ago, before they reached their current state of misery. I will try to be careful in this review as, for me, much of the interest in this book was working out the back story, and piecing together how it all ended up like this. You could call him a good bad man, or a bad good man. Depends on who you hold dear – the what or the why. The way he is captured throughout the book, through the eyes of so many observers, preserves this ambiguity until quite close to the end of the book when I came down on one side in particular (I won’t spoil it for you). Of the four women, by far my favourite was L. She was the chef in Bill Cosey’s Hotel and Resort and seems to have been the only possessed of a level head, and the only one that held to her values in the face of everything. Her voice provides a good deal of the context and perspective that fill in the details of the events that went on in Bill Cosey’s resort – in many ways she acts a narrator, guiding you through the twisted loyalties and providing a more impartial perspective on the events . She also plays the role of a much-needed peacemaker and her fierce determination to do what she believes is right provides a fascinating twist to the end of the book. The most enigmatic of the central quartet was May, Christine’s mother. We never hear from her directly, only about her from other people. She initially seems more than slightly on the bonkers side, as she runs around the resort hiding things from a suspected oncoming invasion, but there is a cracking passage from Christine towards the end of the book where she suddenly understands her mother’s perspective and is able to rationalise her actions. The final two are Heed and Christine whose mutual loathing is balanced by an uncomfortable codependence. It is the unraveling of their tangled past which provides the fascinating core to this book. The more you learn about these two hard, bitter women, the more you empathise with the decisions each of them has made and the more inevitable the final end of the story seems. While much of the book is built on age and hate, there are two young people in the present day of the book, Romen and Junior, whose love affair provides some much-needed moments of happiness in this story. But even this relationship isn’t secure. I spent much of the book with every finger crossed that Romen would stay on the ‘right side of the tracks’ as he battles an onslaught of attacks on his masculinity, sexuality and as he experiences the joys and challenges of his first love affair. Oh, the agony of youth! It is a battle made harder as Romen himself very much craves a ‘bad boy’ image at the start of the novel and I was never sure of the extent to which he changed his mind on this. We see him struggle with understanding consent and violence in relationships – both from the girls he is involved with and in understanding how he feels about what he is doing. His paramour Junior plays an interesting role in the novel. In many ways she is a foil for L and Christine to use to tell their stories, and her presence means that the plot can move on much faster than it could have with two fairly immobile women more or less stuck in a house. But she is a fascinating character herself, and it would have been nice to see more of her, if the book had been slightly longer. Once – perhaps twice – a year they punched, grabbed hair, wrestled, bit, slapped. Never drawing blood, never apologising, never premeditating, yet drawn annually to pant through an epidsode that was as much rite as fight. In conclusion, I would really suggest you go and read it. It is a fantastic exploration of family, friendship, love, loyalty, age, youth and the ties that bind us. 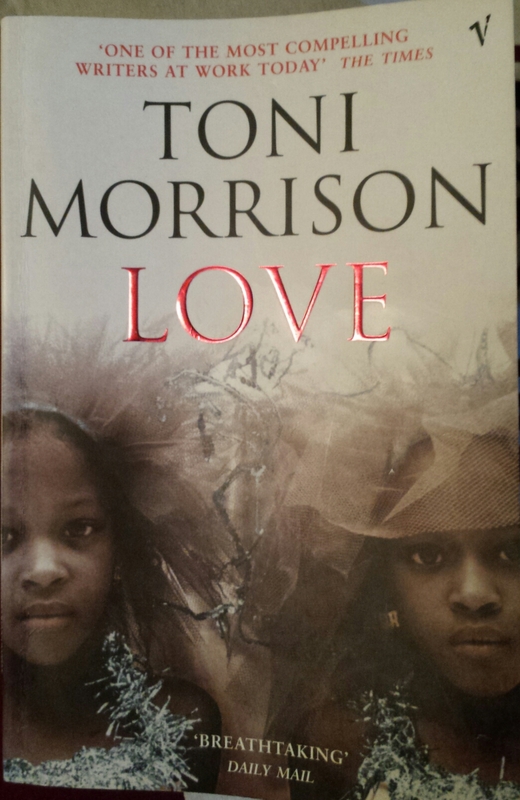 Tags: Bill Cosey, books, family, love, Toni Morrison. Bookmark the permalink. The only Morrison book I’ve read is Beloved, and I really enjoyed it. I may need to pick this up. I don’t mind reading depressing stories, so long as I’m in the mood. This is a great review overall! Thanks! I would really recommend it. And I shall have to add Beloved to my reading list!